Our dear friend and former PN contributor Kelly Lyden has written a beautiful book, Stylish Kids’ Parties, featuring twelve themed parties with lots of ideas, DIY projects, decorations and recipes. She’s sharing an excerpt of this darling Pinwheels and Polka Dots first birthday party from her book with us all today. An example of a DIY that you can find in the book is this sweet and easy embellishment for a party favor bag, proving that you don’t have to spend a lot of money to get a designer look. Photobooths and backdrops, made popular at weddings, have reached down to even the littlest party guests. This pinwheel wall creates a whimsical backdrop to photograph your party guests. 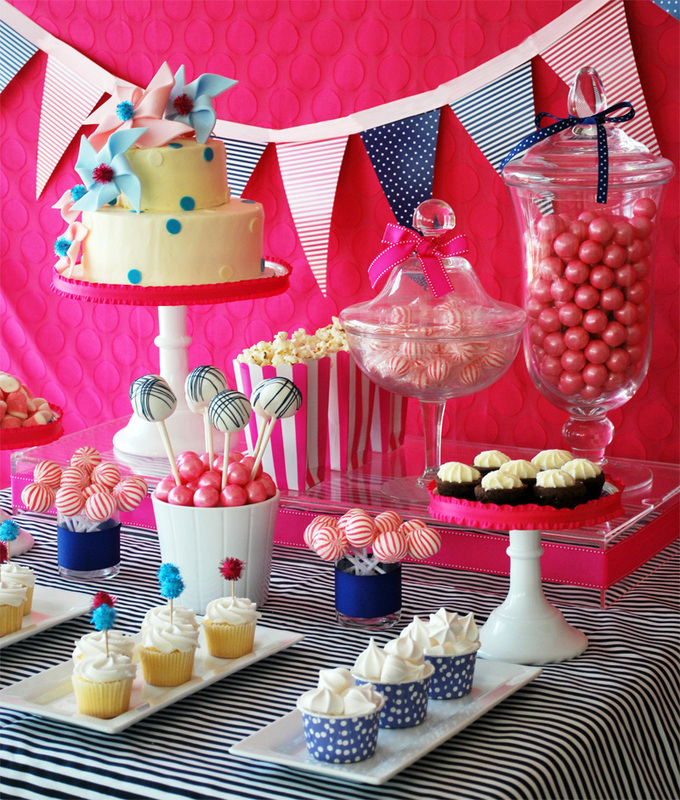 Be sure to check out the rest of Kelly’s book for more great children’s party ideas. Stylish Kids’ Parties is available in Kelly’s shop (signed copy), Amazon or Barnes and Noble. We’ve included a copy of Stylish Kids’ Parties in our Valentine’s Day Giveaway; be sure to enter for a chance to win. Beautiful work, as always, Kelly! Congratulations!